Illinois SDA: Forms & Fabrics an exhibit. Forms & Fabrics an exhibit. 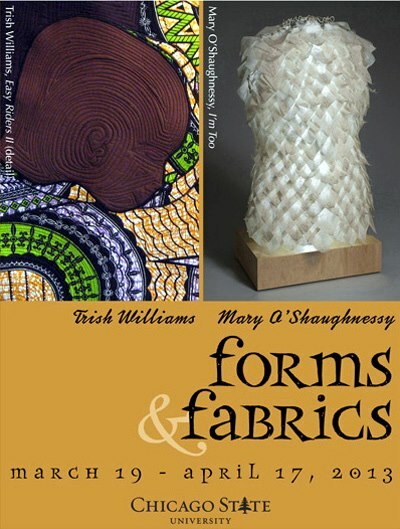 An exhibition of visual artists Mary O'Shaughnessy and Trish Williams employ traditional "women's things" to challenge stereotypes women face; O'Shaughnessy through sculpture, Williams through traditional craft. March 19, 2013, 12:30 - 3:00 P.M.